Apply now and save $0.10 per gallon* for the first 90-days after your account is open, and then save $0.05 per gallon* after the 90 day introductory period. Earned and paid as a fuel statement credit. Mini-mum purchase of 45 gallons per month required. Discounts are just the beginning. Other benefits include pay-at-the pump convenience at thousands of stations across the country. *Subject to credit approval. 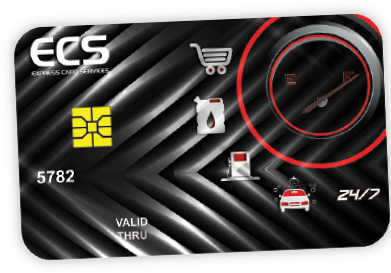 Savings are provided as a fuel statement credit when you purchase 45 or more gallons per month. Savings apply to the first gallon up to 110 gallons every qualifying month. Total annual credit not to exceed $99. See Reward Program Terms for details. © 2019 ECS PROGRAM. ALL RIGHTS RESERVED.